Throughout her college years, Glee rode, taught, and began playing polo, all while earning her B.F.A. in Photography from Rhode Island School of Design. Since then, her artistic talents have shined through in all areas of her life. 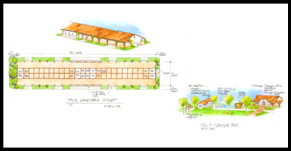 Recently, Glee has honed her skills in the design realm, drafting plans for the magnificent Milagro Polo Center. 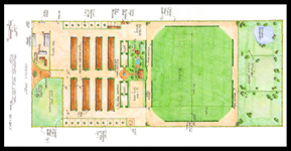 Click the thumbnails below to see the plans in detail.